Founded in 2012, Blue Apron is one of the oldest (and fastest growing) meal kit delivery services out there. This New York-based company offers chef-created recipes each week with prepped ingredients and simple to follow recipes. They currently offer a two person and four person plan. 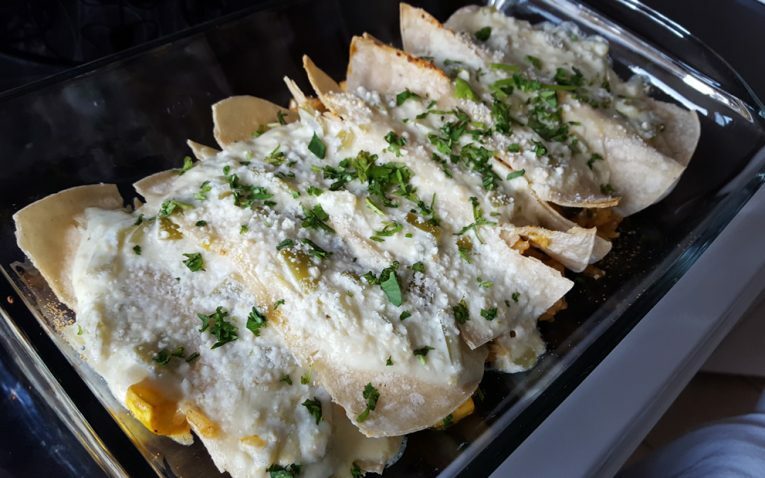 One of the original meal delivery kit services offering up unique menus, fun recipes and fresh ingredients. 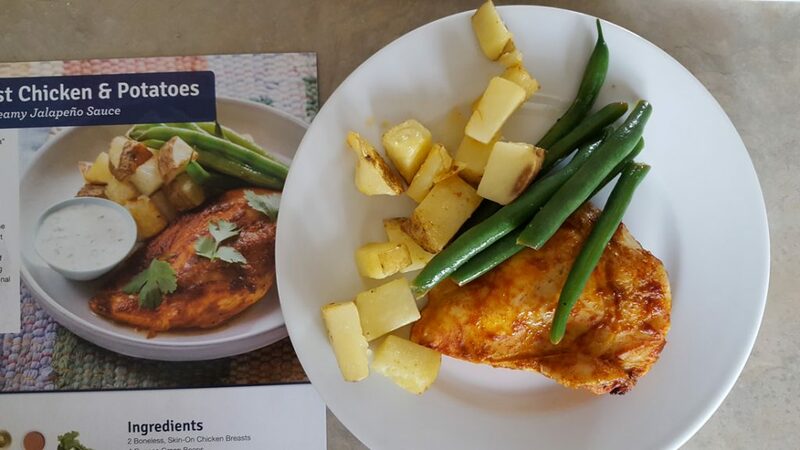 With Blue Apron, you can choose between the two-person or four-person meal plans. 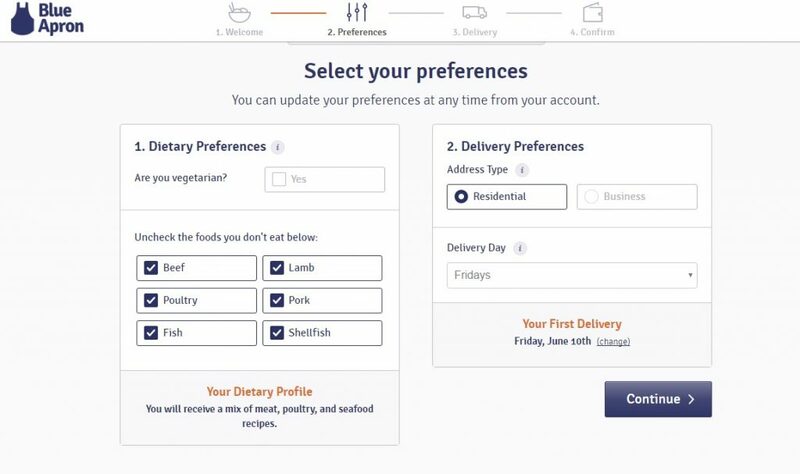 Each week, you can pick from six available menu options – though Blue Apron’s system will automatically select three based on your preferences you input at the start of your account. You can also select what types of meats you do not want to eat – so that they automatically choose which recipes suit those preferences. 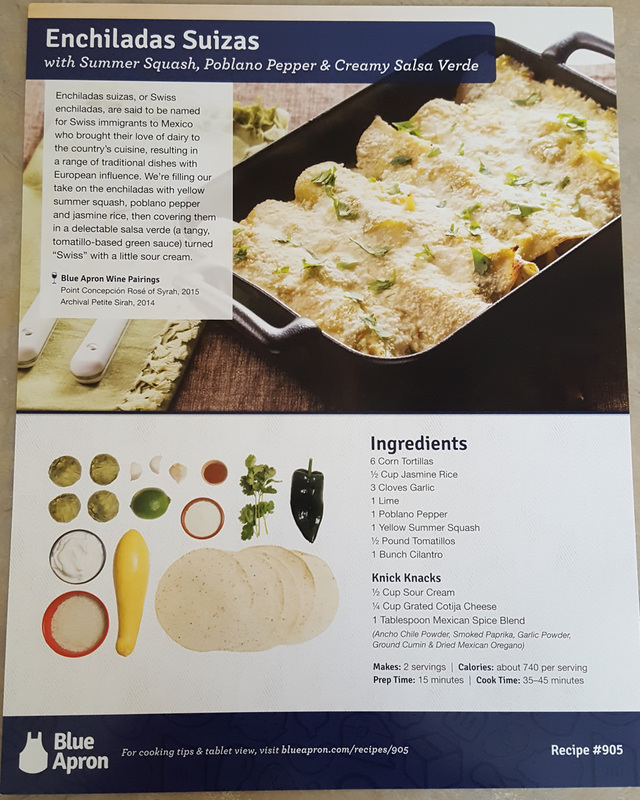 Blue Apron does try to accommodate most dietary concerns. That is why they offer low-calorie, vegetarian and meat options. 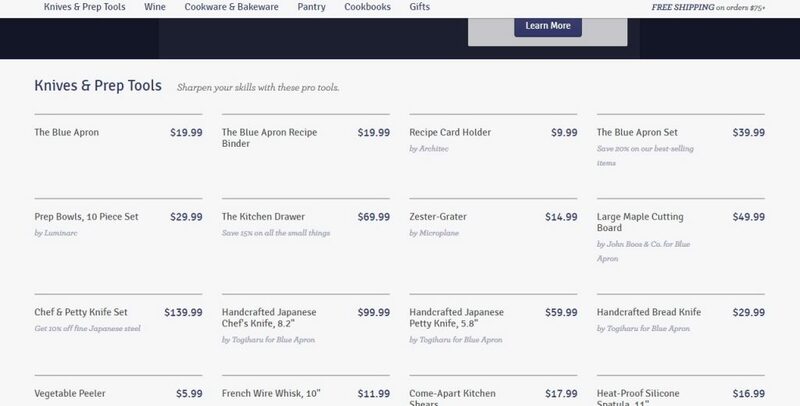 Blue Apron offers their own market, which features cooking equipment and wines. They cannot ship wines to all areas though – so you will want to make sure you’re in a shipping zone. 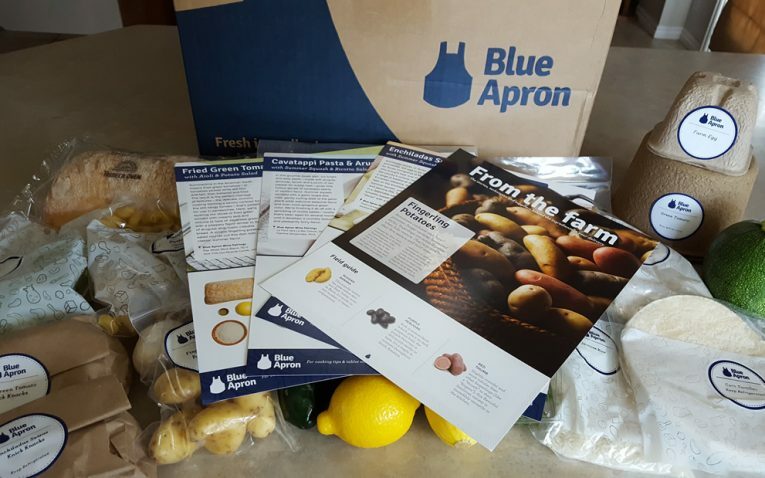 At this time, Blue Apron does not offer any gluten-free or Paleo recipes. 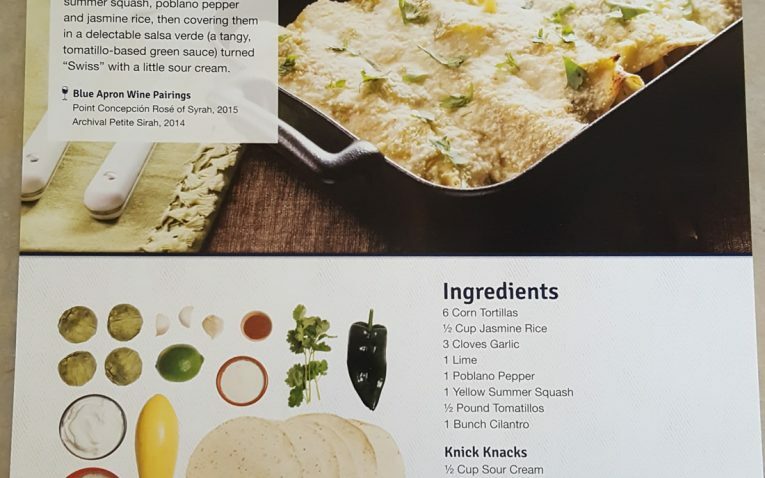 While they state that a recipe could be transformed, they do not specifically offer these types of recipes to their customers. 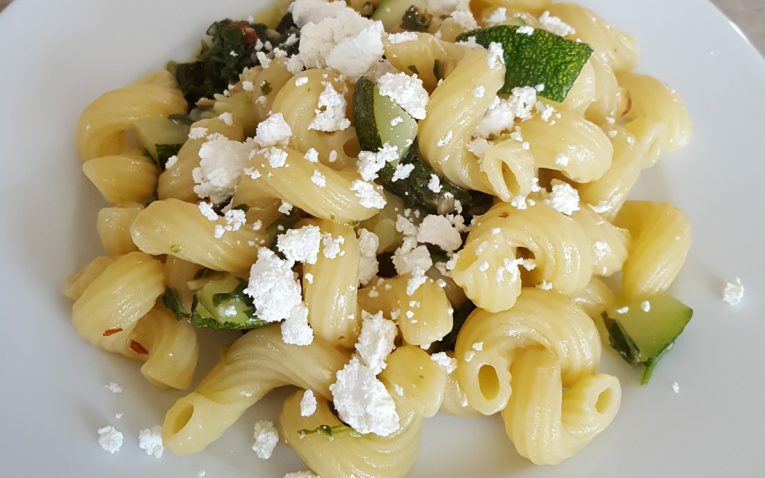 Blue Apron only allows you to pick between six available meals for the week – if you’re on the family plan, having to choose four out of six recipes may mean that you are stuck with something you are not necessarily interested in eating. You can substitute menu options if you do not like the three recipes that were automatically selected for you. Also, you can skip a week, but you will need to do so by your cut off date. 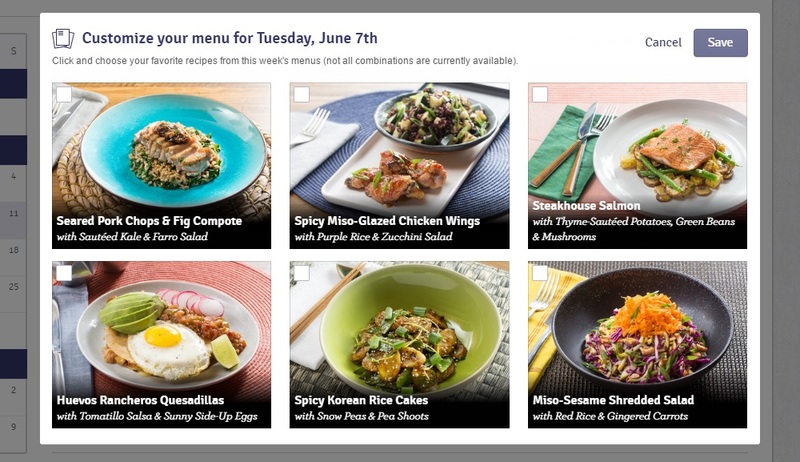 The cut off date depends on your delivery day – and Blue Apron will show you the “Changeable By” date next to each menu for the week so you know how long you have. You are limited to combinations with Blue Apron. When I went to order, I selected a vegetarian meal, and it automatically blocked out two other meals. So, then I was forced really to only select between three others. So, while they say you have up to six choices, you really don’t. 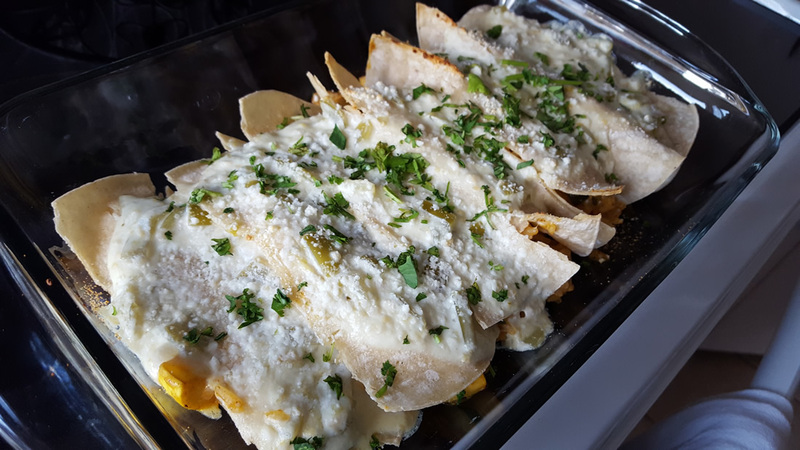 Depending on what you choose, you are narrowed into a category of three recipes to pick from. Blue Apron is one of the few that still do combination limits – and perhaps need to adjust that. Cancelling your account is kind of a hassle. Most companies have the option right on the site to cancel. But, with Blue Apron, you must first email them to let them know you want to cancel, then you must follow the instructions in their email. This is kind of a hassle and hopefully something they improve later on. 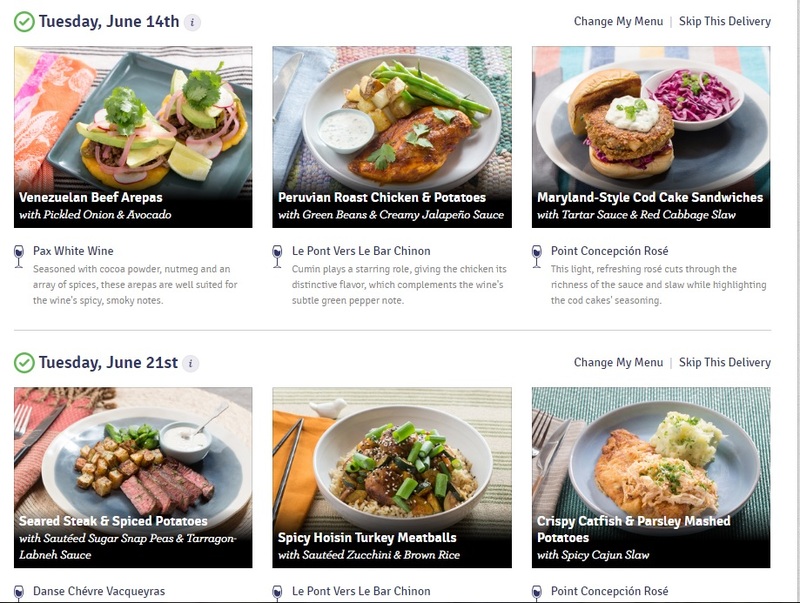 Blue Apron has an impressive lineup of recipes – all seasonally inspired. They use ingredients that are available based on the season and their recipe combinations are interesting. For example, three of my recipes for the week consisted of Crispy Catfish and Parsley Mashed Potatoes, Spicy Hoisin Turkey Meatballs and Seared Steak and Spiced Potatoes. They use a variety of flavors and products so that you do not feel like you are repeating or falling into one category of spices. Blue Apron definitely encourages experimentation. Their Peruvian Roast Chicken, for example, forced me to try a spice combination that I never would have tried on my own. What I like about their menu choices is that while they encourage experimentation and are certainly unique, they are not so far out there that they will not accommodate kids. A lot of meal kit delivery services pick flavor profiles and combinations that are just too bold and not always family-friendly at the same time. They make a point of never repeating recipes in the same year and all recipes are numbered – so you can easily track which recipe you’ve tried. The variety from Blue Apron is excellent. My only complaint is that while they have six great recipes to choose from, with excellent variety, you cannot pick from all six. So, you may be pigeon-holed into a particular category regardless. 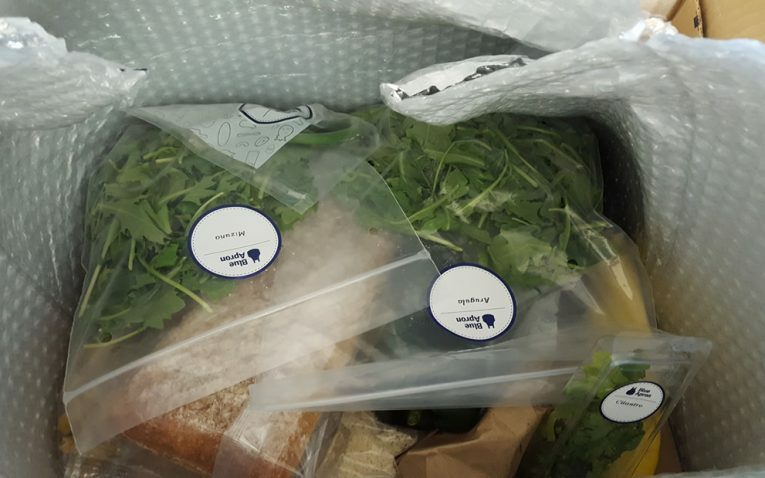 Instead of using dried herbs or spice mixes, Blue Apron uses fresh herbs in their dishes. 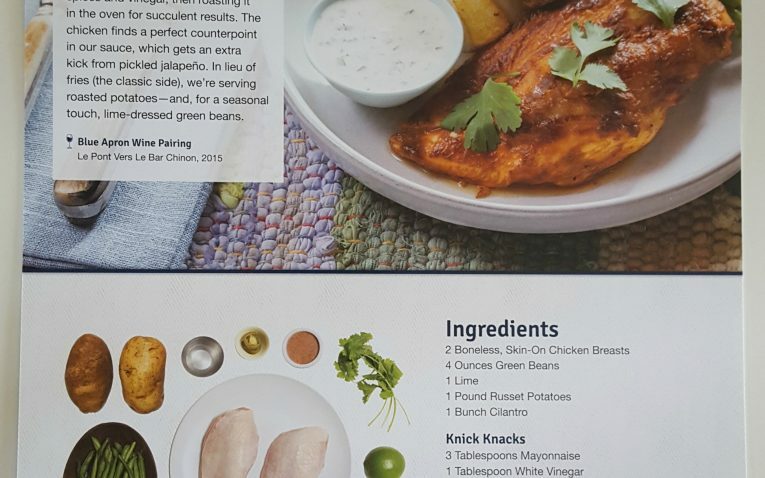 Blue Apron uses meats that are naturally raised on hormone and antibiotic-free diets. Their produce is purchased directly from the source; therefore, it is supposed to be fresher than what you receive at the supermarket. 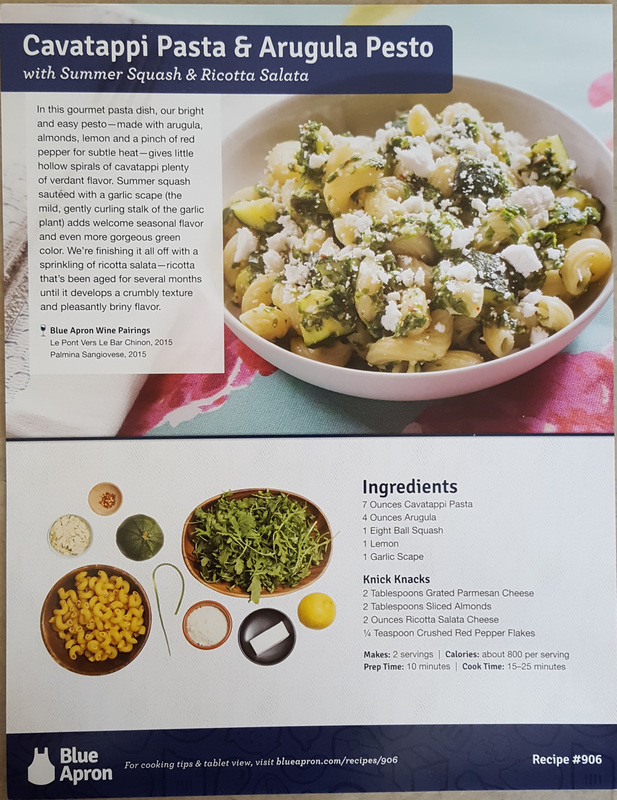 On their site, Blue Apron states that their recipes average 500 to 800 calories per serving, which is about what I received. My green tomato, despite the extra packaging, was bruised and actually starting to turn – by Day 2 of having it at my house. Their recipes do not include in-depth nutritional info. Instead, they only have the calorie count per serving – and even then, it says “about _ calories.” You can look up the more in-depth nutritional information online, but that is kind of a hassle when it can easily be printed on the card. 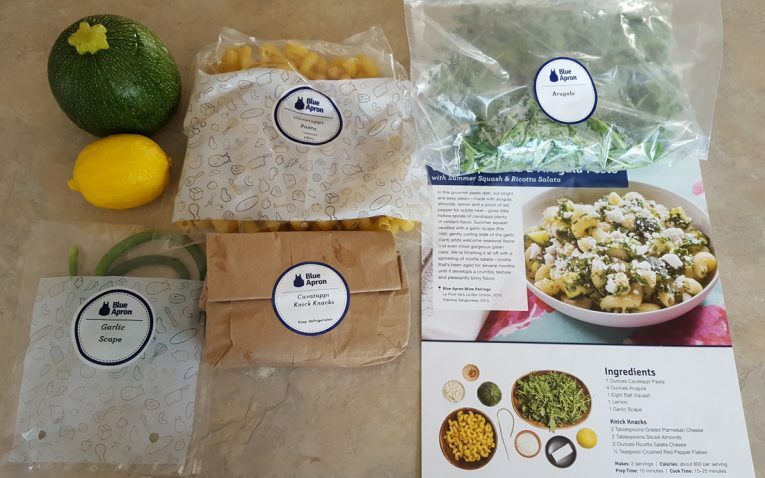 Blue Apron’s pricing is competitive – and even cheaper than some other meal kit delivery services out there. You can choose between the Two-Person Plan, which serves two people and offers three meals per week for $59.94 or the Family Plan. 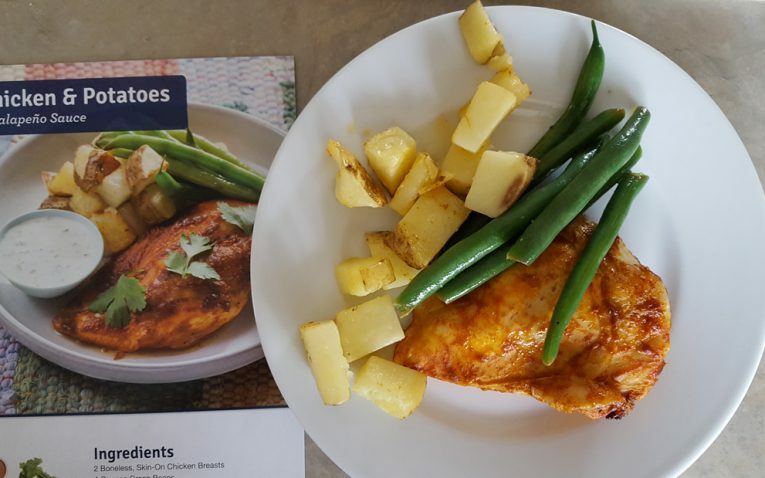 The Family Plan lets you choose between two and four recipes per week, ranging from $69.92 to $139.84 per week and each meal serves four. 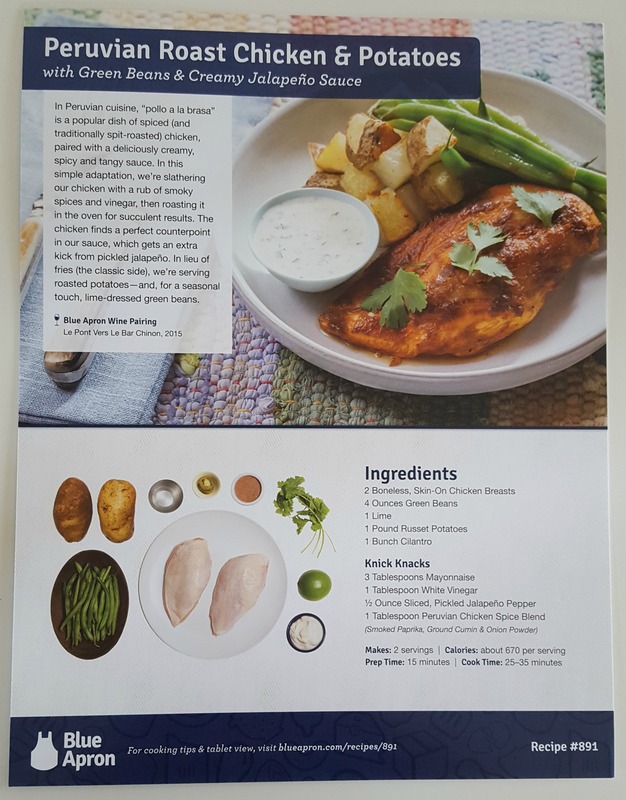 The price per serving for Blue Apron ranges from $8.74 to $9.99 per serving – which is fairly affordable considering some other companies go as high as $14 per serving. With Blue Apron, you pay on a weekly basis for all meals. Price-wise, Blue Apron is very affordable; therefore, we don’t have any issues with their cost from that perspective. 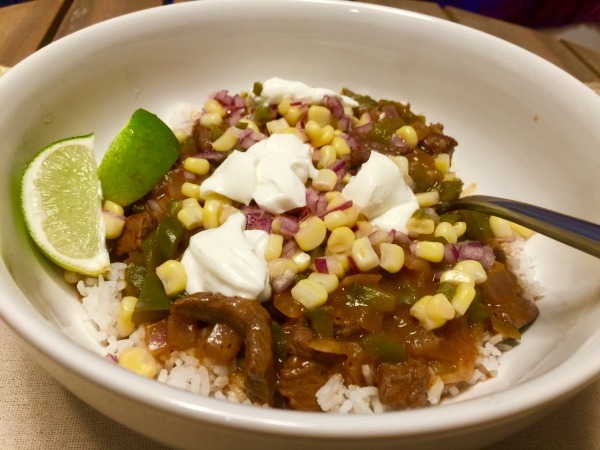 Check out my recipe taste test to see how the recipes and meals turned out from Blue Apron. 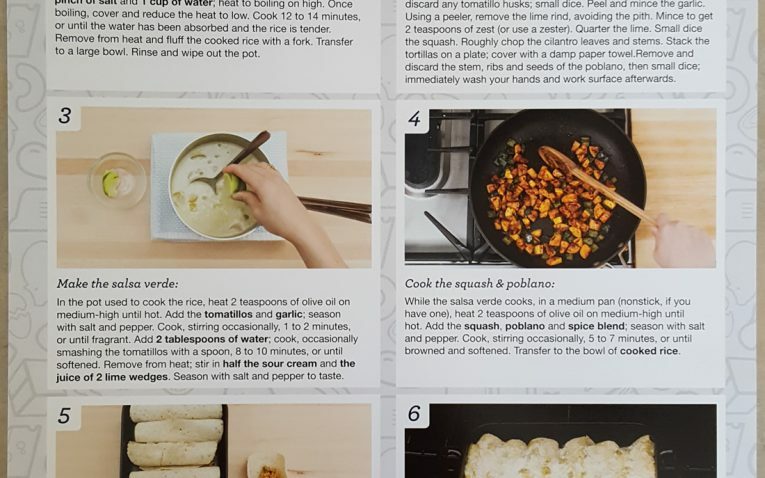 Each recipe card has a number for that particular recipe. 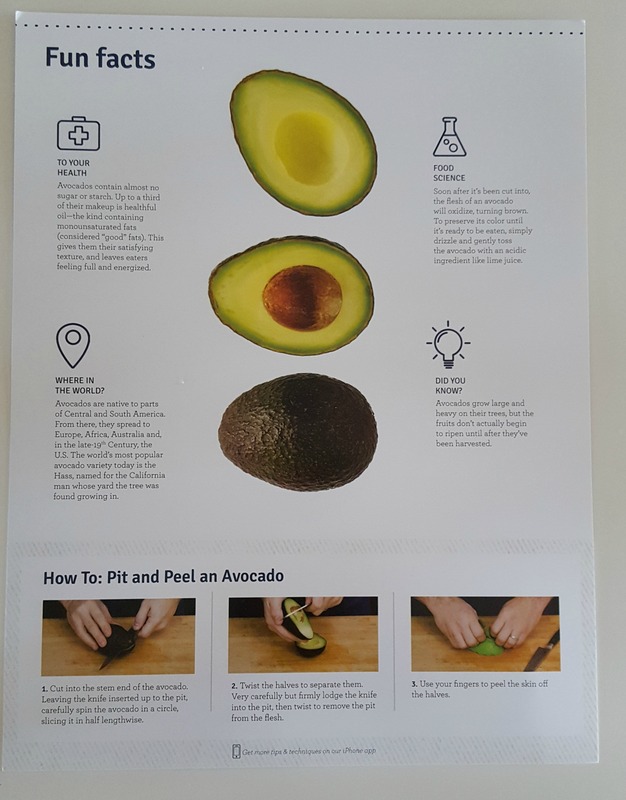 There is a web address at the bottom of the card where you can go check out additional tips for making that specific recipe. In my shipment, they were highlighting avocados. 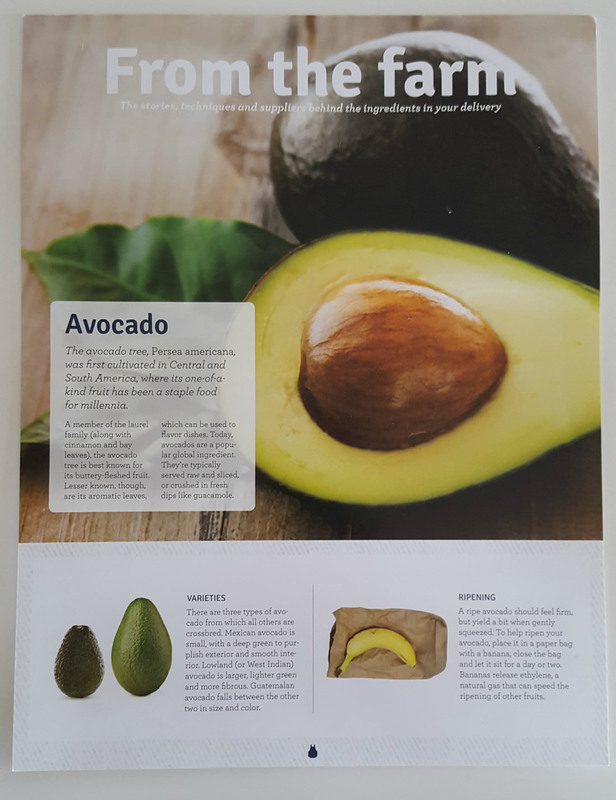 You receive an in-depth page on avocados – including how to pit and peel them, how they are good for your health and some unique tidbits you may not have known about this fruit (yes, they are fruit). When you pick your meals for the week, Blue Apron offers up wine pairing suggestions at the bottom. That way you have time to order your wine pairings. If you live in areas that accept liquor shipments, you can order your wine from Blue Apron directly. 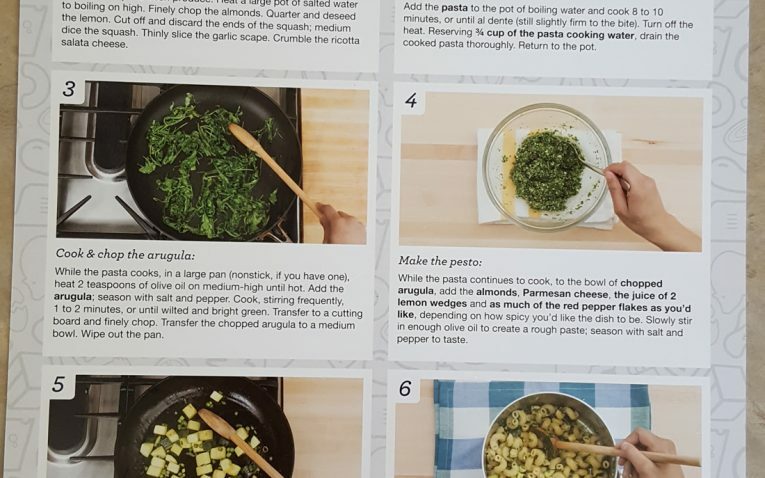 All of the recipes from Blue Apron are step-by-step and include photos so you can make sure you’re on track. They also include the amounts for the ingredients – so you can recreate the recipe again at home if you liked it. 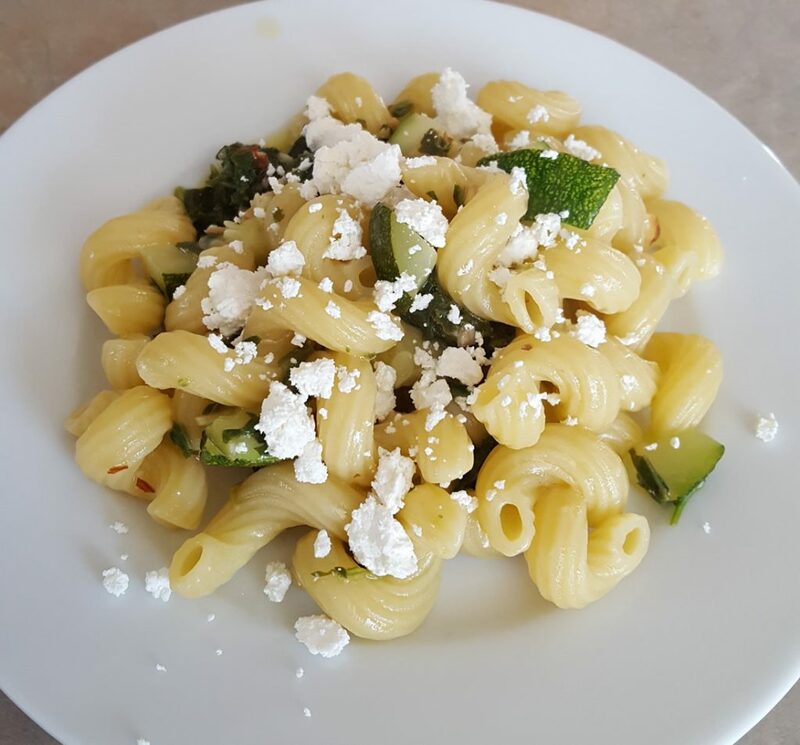 Most of my recipes turned out just like the photos, which was good. 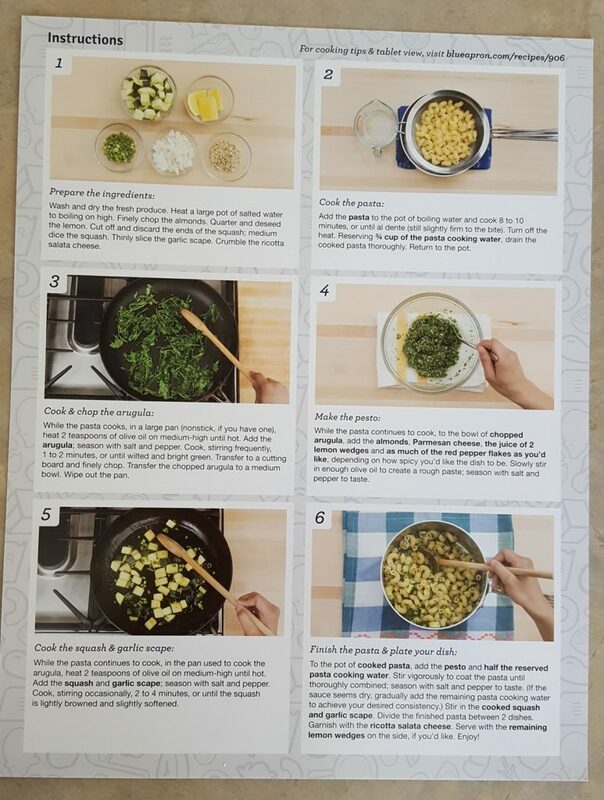 The recipes for Blue Apron are simple, interesting and have good ingredients. 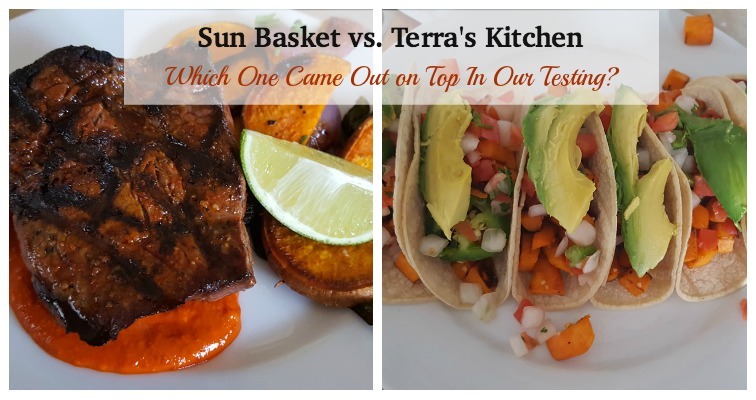 So, I don’t necessarily have anything bad to say about their recipes, but during the taste test I realized that most of the recipes looked better than they actually turned out. Most of the recipes from Blue Apron were just so-so and not necessarily something I’d repeat in the future. 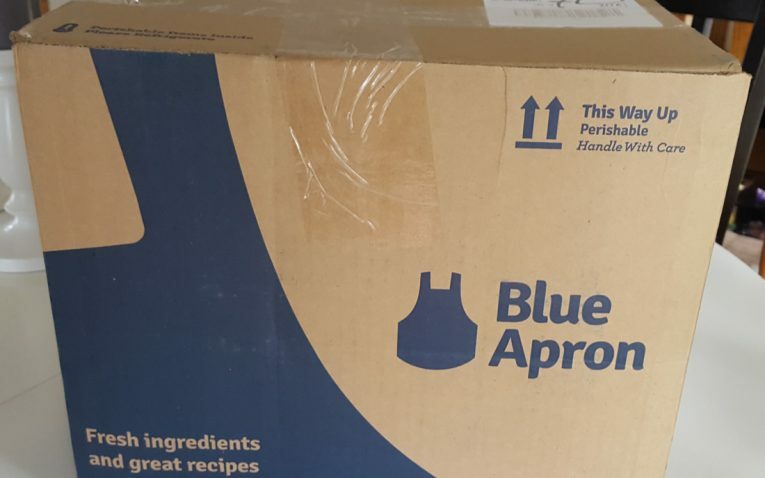 The Blue Apron box is clearly marked – so when you get home, you know what it is waiting on your porch. When you first open the box, you are greeted with recycling and temperature information. 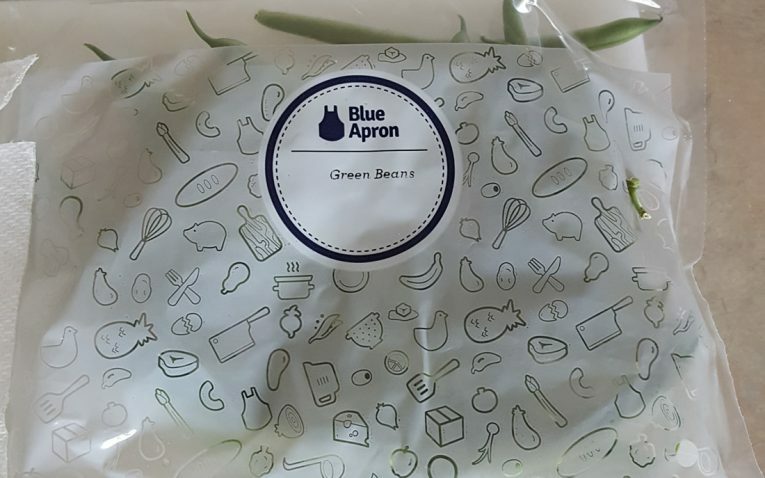 Blue Apron uses a bubble wrap insulated liner. This seems to be common among most of these companies. Inside the box, you will find the sealed liner and the recipe cards on top. Once you open the bubble liner, you will find your ingredients. 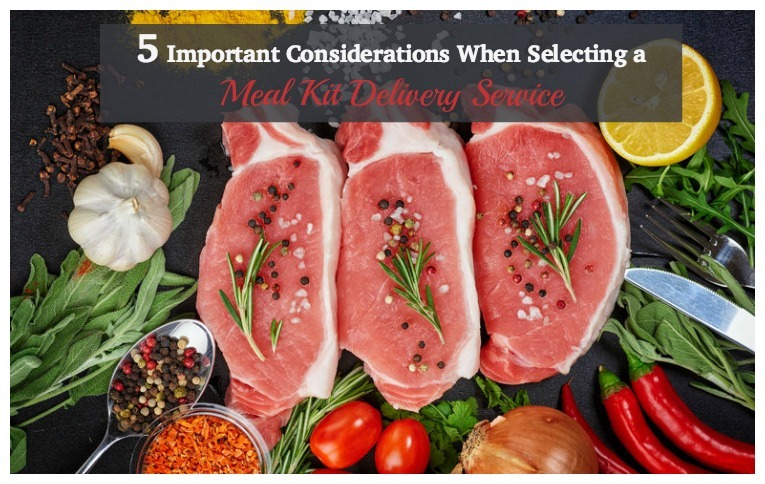 There’s really no organization to how items are placed in here – but this seems to be a trend with most of these meal kit services. It is amazing how much fit in these boxes. A 2-Person kit comes with all of the ingredients you need for the week, including knick knack packs and recipe cards. 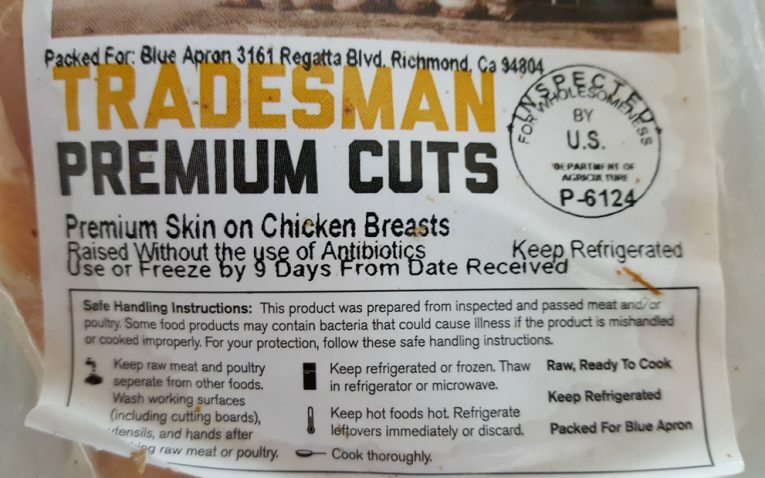 Meats are clearly labeled and not only tell you the nutritional info, but where the meat comes from, how to store it and how long you have to use it. Surprisingly, not a lot of companies do this. 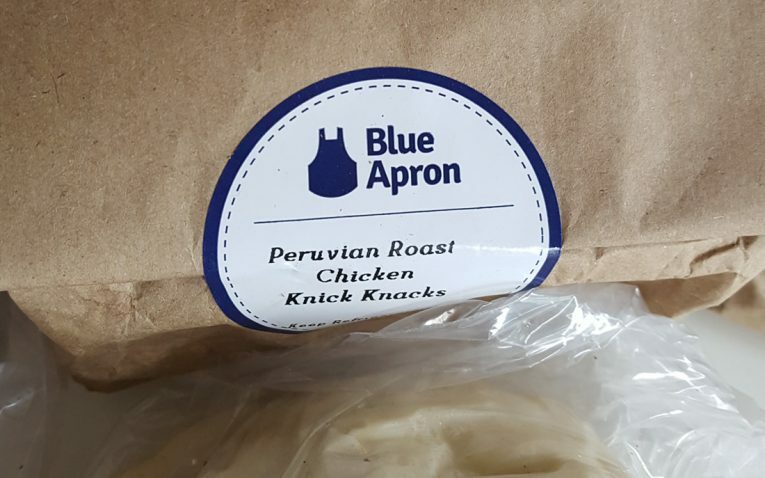 Blue Apron uses knick knack sacks. These have small, pre-measured ingredients that are used to complete your dish. All meal kit items are labeled clearly – but they don’t say what meal they go to. Out of all of the meal delivery kits, I found Blue Apron to be the clunkiest for my fridge and storage. To make it worse, my vinegar for the same recipe my egg needed broke and leaked. I didn’t realize it was leaking, so I put it in my fridge – that did not make for a fun cleaning time (or smell). 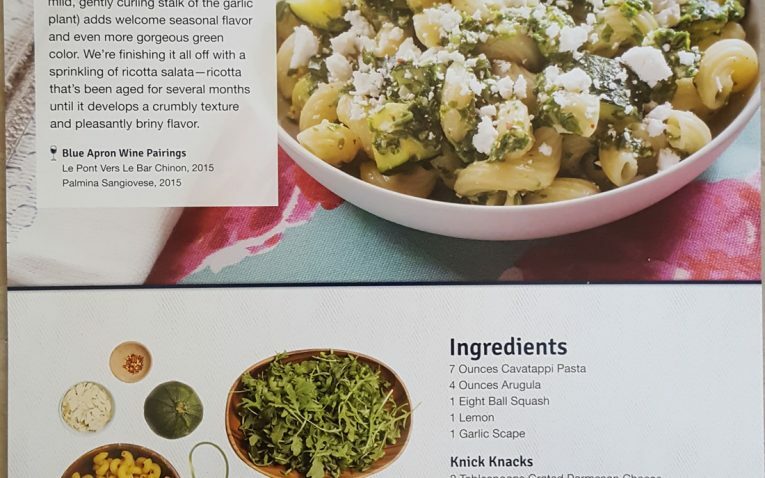 Both boxes received from Blue Apron had some issues. 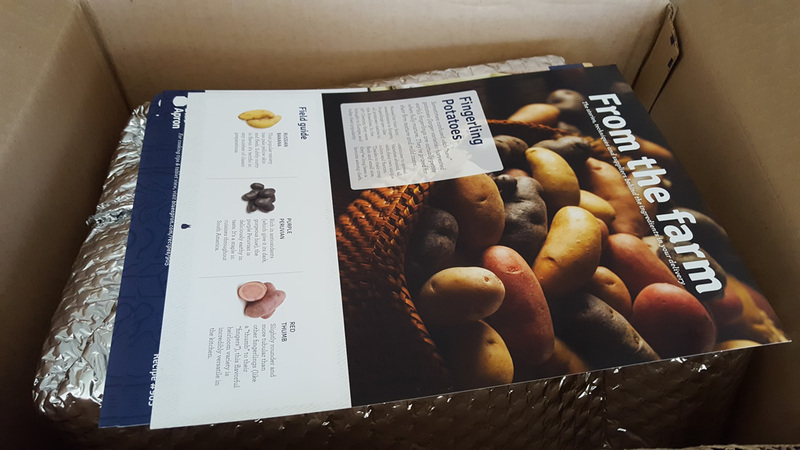 My first shipment had chicken that leaked and got over everything – including fresh, unpackaged potatoes. The second box arrived warm. 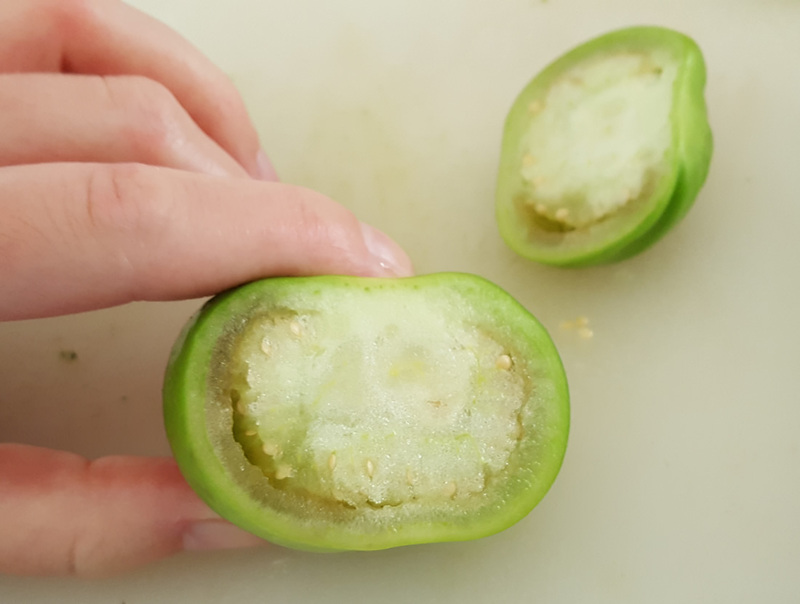 I had to discard anything perishable and replace with my own to make the recipes – and one recipe I was unable to make due to damaged products. 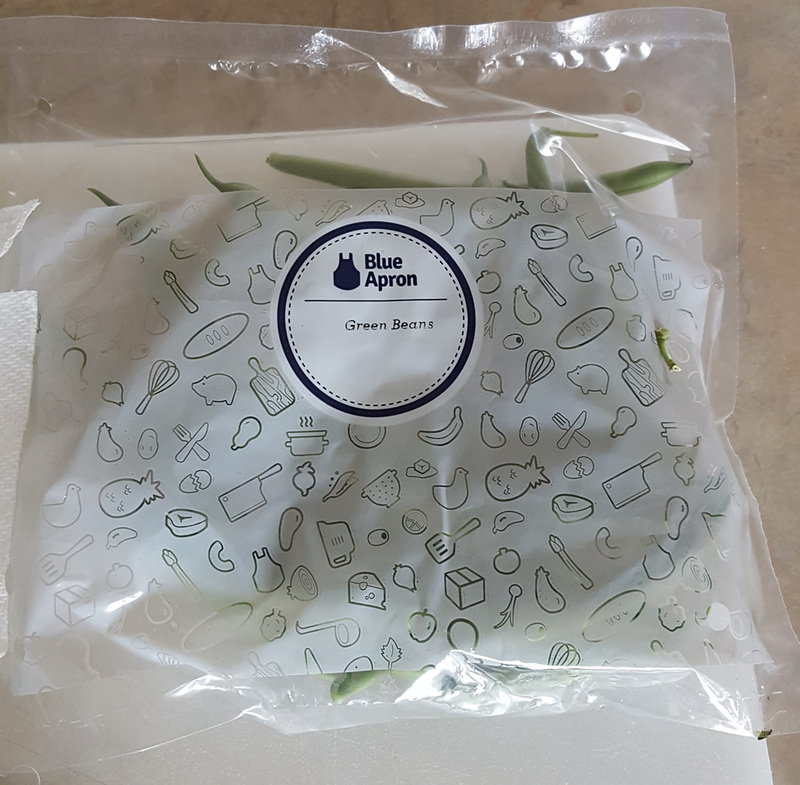 While Blue Apron did offer a free replacement box, both times I had poor shipping/packaging experiences. Read the “What We Do Not Like About Blue Apron” to get more on my packaging experience – including potential food poisoning. Shipping is always free with Blue Apron. One unique thing they do is double ship. Instead of sending a weeks’ worth of meals once per week, they actually deliver twice a week (family plans only) to ensure that your meals are at their peak freshness. Blue Apron does ship during the summer and to most regions, but they make you create an account to see where they do and do not ship. Hopefully, they adjust this in the future. 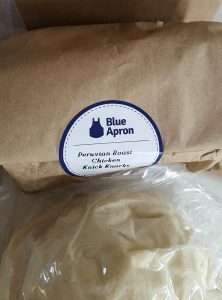 Blue Apron eventually sends you a coupon code so that you can give the gift of Blue Apron to friends (almost like sharing your loyalty rewards). You can also buy gifts directly from Blue Apron. You can choose from one week, two weeks or four weeks of meals – and you can also select between the 2-Person or Family Plan. If you choose the four week gift membership, you get a $20 discount. You must buy a gift membership. Blue Apron doesn’t offer a gift certificate or card so that the recipient can pick which plan/duration they want. The FAQs center with Blue Apron is excellent and very in-depth. You can ask a question and it will search for the right answer. Just about every question I’ve come up with, their system has answered. If you cannot find information on their FAQs, you can still reach customer service. They are available via email and their toll-free number. The toll-free line is only available Monday through Friday from 10am to 6pm EST. I did email their customer service with my issue and they responded the same day. Their customer service staff is very friendly – and accommodating. Blue Apron has a quality and satisfaction guarantee. If you are not satisfied or you have any issue, they will work to make it right. I can testify to this, because I had an issue with my shipment and they promptly sent a free shipment of a week’s worth of meals to make up for it. 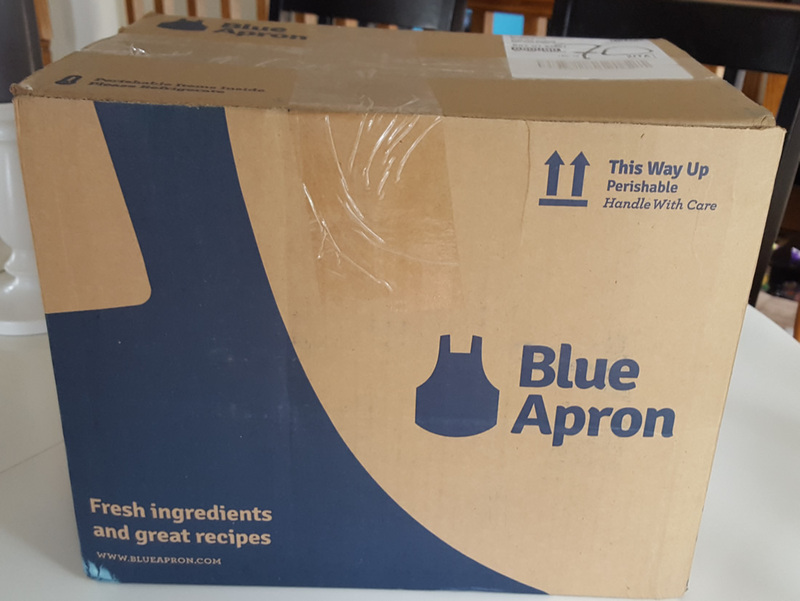 Blue Apron does not have chat, but this is not uncommon with meal kit delivery services. 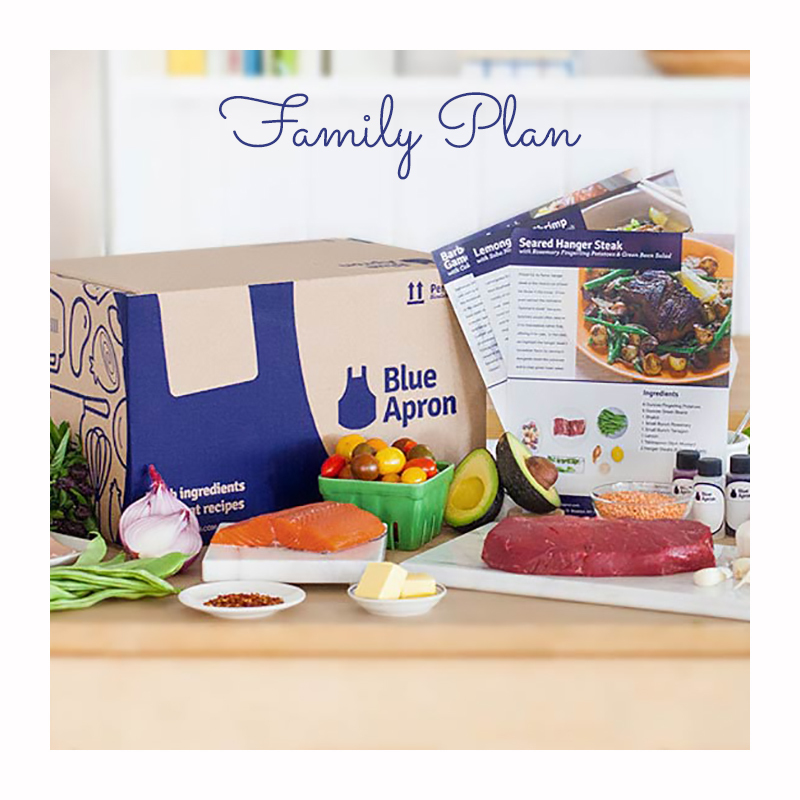 All Blue Apron plans feature free shipping. 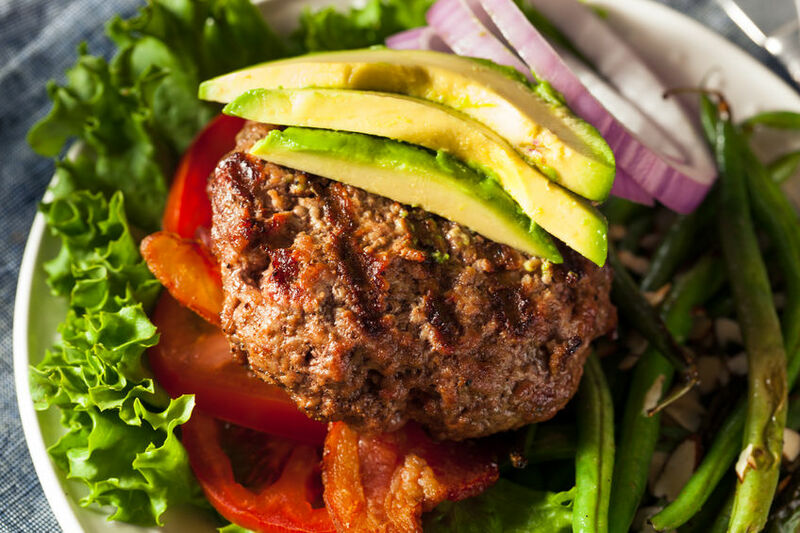 2-Person Plan: Comes with three recipes per week, each with two servings. Starts at $59.94 per week or about $9.99 per serving. 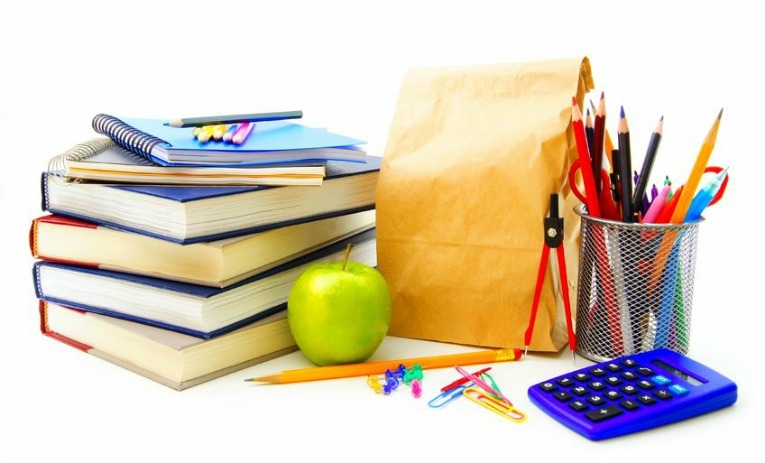 Two Meal Family Plan: Comes with two meals per week with four servings per meal. Starts at $69.92 per week or $8.74 per serving. Four Meal Family Plan: Comes with four meals per week with four servings per meal. Starts at $139.84 per week or $8.74 per serving. 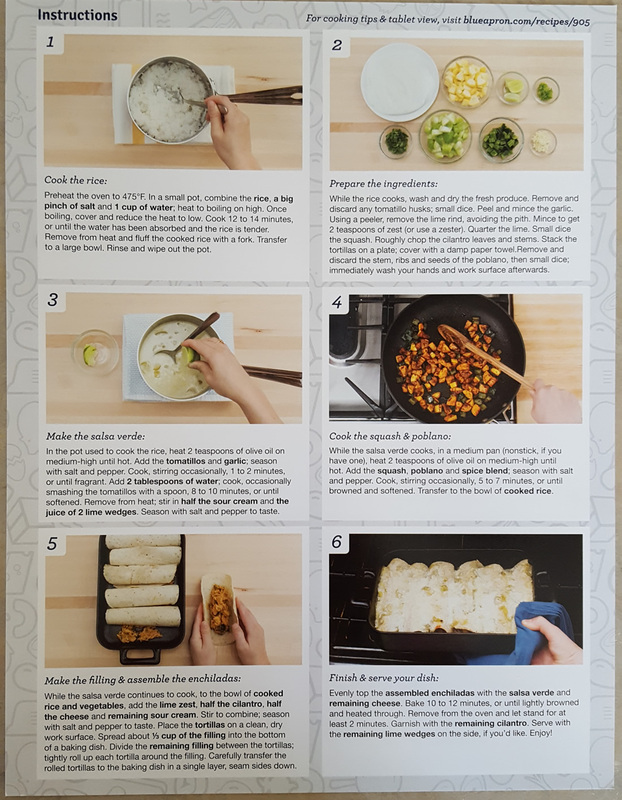 The recipes from Blue Apron were all very easy to complete. 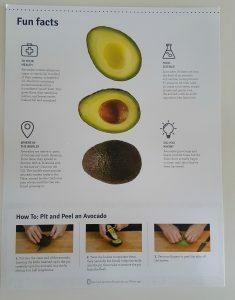 Their step-by-step instructions and pictures make them friendly enough for even those completely new to cooking. Blue Apron’s recipe choices and serving amounts make them accommodating for both couples and families. While a single person may not be accommodated easily (since there is a minimum of two servings per meal), they could still enjoy Blue Apron by cooking and having leftovers. 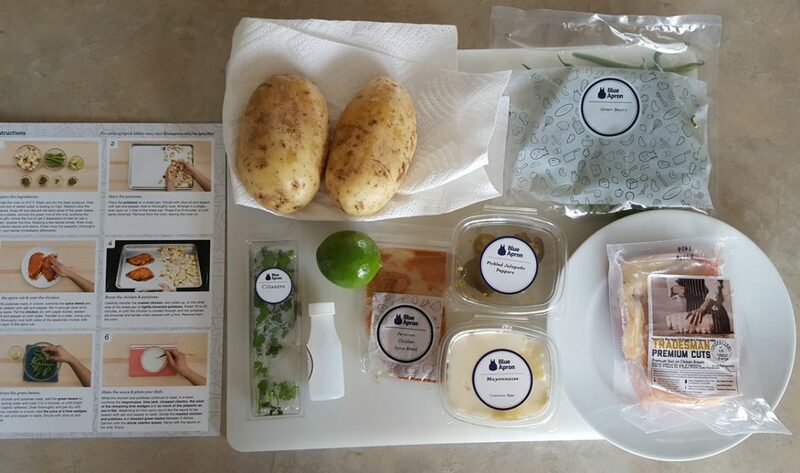 Cost-wise, Blue Apron is affordable, which is why they are equally family-friendly. 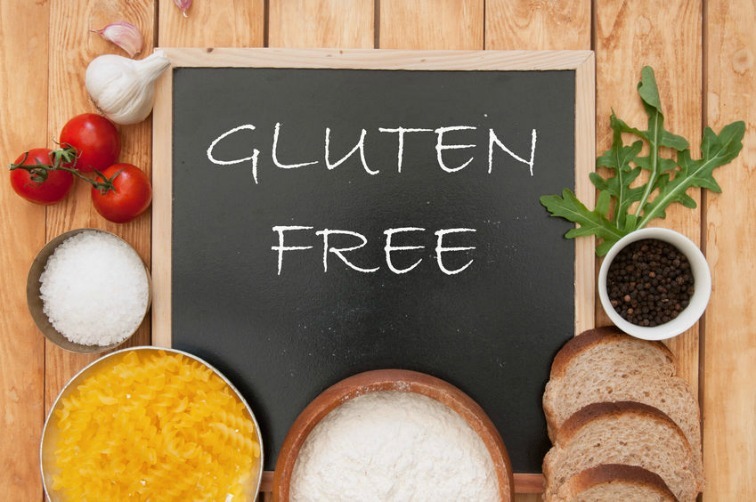 If, however, you have special dietary concerns, such as Paleo or gluten-free, you may find that Blue Apron’s menu is not extensive enough. Also, if you want to be free to choose which meals you want from a large menu, then Blue Apron isn’t for you. 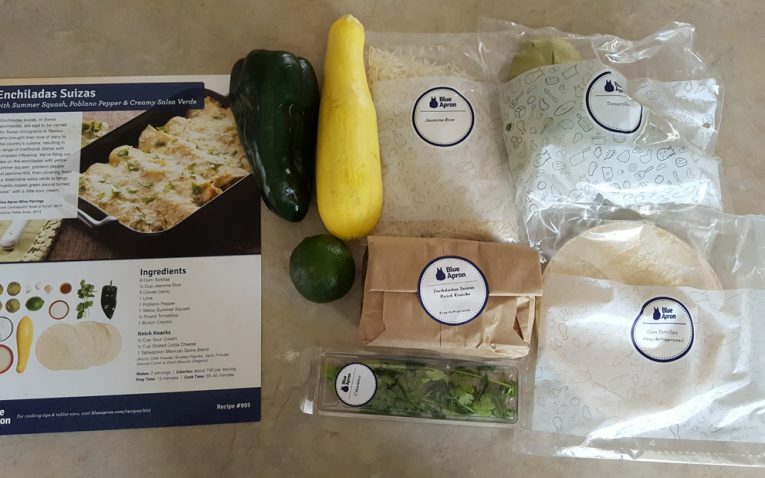 Family Boxes: Not all meal kit delivery services accommodate families, so it is nice to see that Blue Apron has a specific family plan. I also like that they allow you to choose between two or four meals per week. Low Per Serving Cost: When you compare Blue Apron’s cost to others, they are fairly affordable. Their family plan offers discounted pricing of $8.74 per serving – which is cheaper than a lot of plans out there. 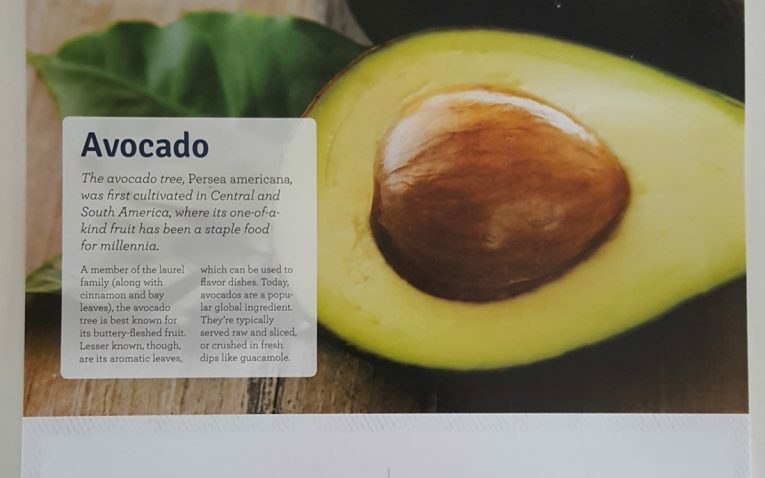 Robust FAQs Section: The FAQs section from Blue Apron is one of the biggest I’ve seen – and it answers just about any question you can think of. You can use their built-in search tool as well and ask a question. Mobile App: Blue Apron is the only one (so far) to offer a mobile app. You can pick and choose your meals, order from their market and even get additional recipe information all from their mobile app. Additional Shopping Options: Blue Apron launched their market and wine store recently. This features wines that you can pair with your week’s menus and they are just $10 per bottle. The market offers up additional shopping options, like pantry items, cookware, cookbooks, knives and prep tools and even bowls. You could even purchase their black pepper, salt and signature olive oils. 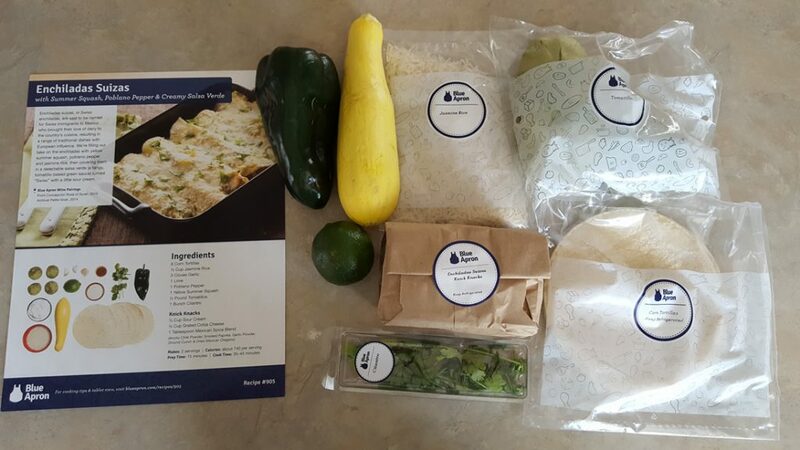 Combination Limits and Only Six Meals: Blue Apron’s ordering is a little outdated. Most companies have moved away from combination limits and even have more robust menus to choose from. 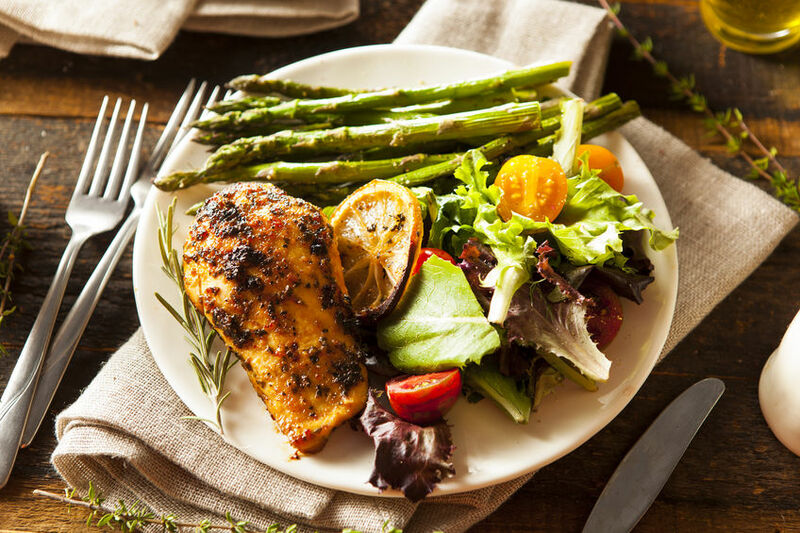 You are limited to six meals each week to choose from, but depending on what you select, you are really narrowed down to just three due to the combination limitations. This can be a real hindrance, especially if you have to choose four meals for your Family Plan. Limited to Four Servings: With Blue Apron, you can only pick between two or four servings. Most companies are now realizing that there are larger families or those odd-numbered families (three and five servings). They are allowing people more flexibility with their serving count – something Blue Apron needs to consider. Poor Packaging/Shipping: I received two separate shipments from Blue Apron. The first arrived in the afternoon. 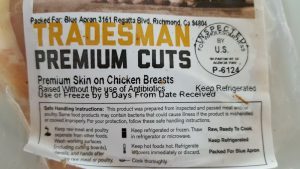 The chicken had leaked and the shipping company left it on my porch on it’s side. 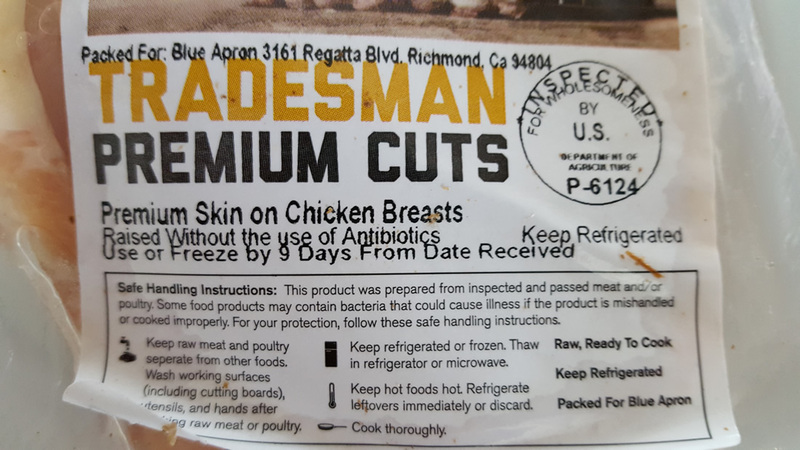 All of the chicken juice leaked down and into the fresh produce section of the box – getting all over the packaging and fresh vegetables (including potatoes that were not wrapped in anything). I scrubbed everything. I cooked the meal with chicken that night and the next morning (or should I say very very late the night we ate the meal), myself and my son (the only two that ate the meal), came down with gastrointestinal problems. I discarded the entire box and contacted Blue Apron. Blue Apron sent a second box. This second box arrived WARM. 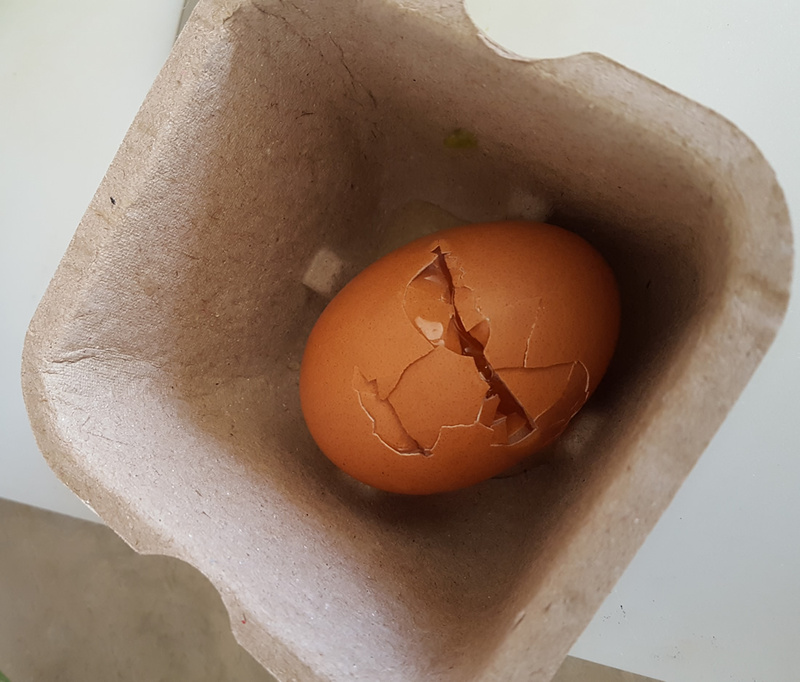 I was extremely disappointed. The ice packs were already melted and they had dairy products at the top of the box – completely at room temperature. Out of precaution, I had to discard anything perishable and replace with my own (if I had it). Which forced me to be unable to complete one recipe from the box. 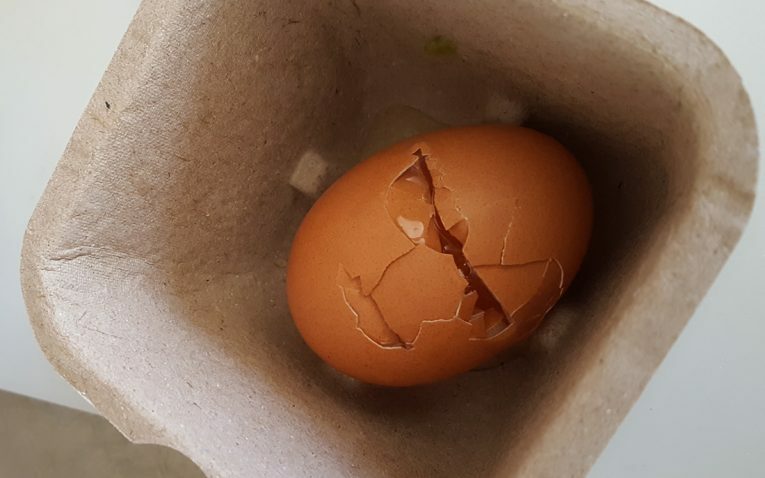 I also had bruised produce, broken eggs, and leaking vinegar. Clearly, Blue Apron needs to work on their packaging/shipping. 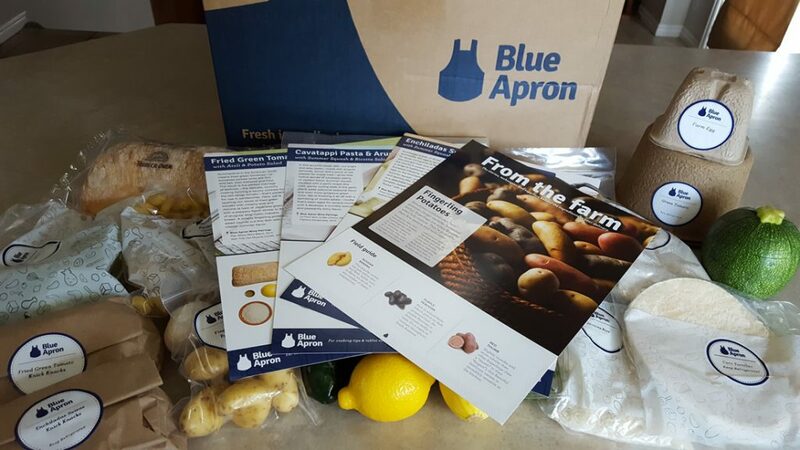 Overall, Blue Apron has a unique model and plan. But, their execution did not go as well. 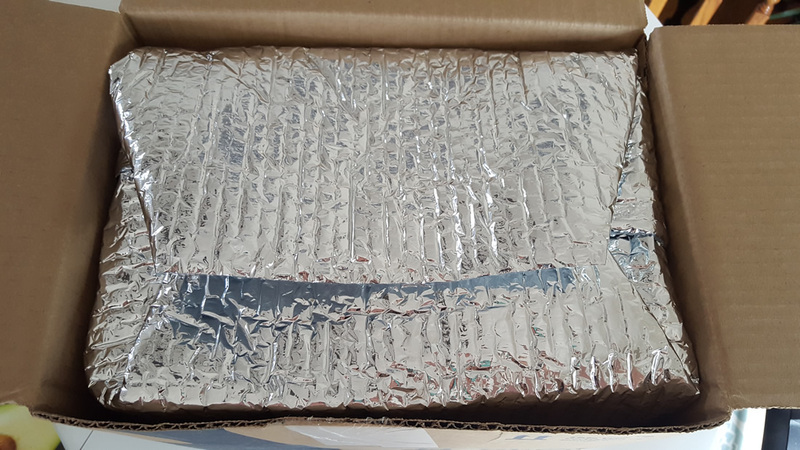 I think with their rapidly growing business, shipping and packaging has taken a back seat – because I received two boxes with poorly packed materials. That being said, I know Blue Apron has the potential. 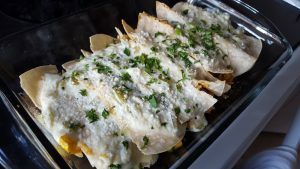 They have excellent recipe ideas, fresh ingredients and they do offer something unique to bring to the table. But, when the food arrives in poor condition, it is hard to want to try them again. 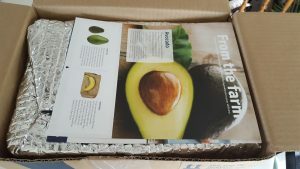 Hopefully, others have had better experiences with their shipping – Blue Apron assured me that they normally do not have so many issues with their packaging.